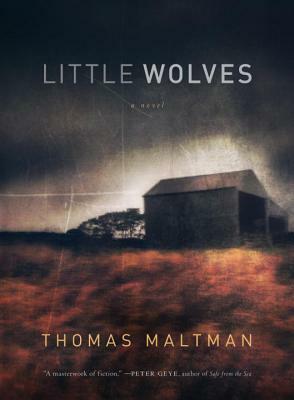 Set on the Minnesota prairie in the late 1980s during a drought season that's pushing family farms to the brink, Little Wolves features the intertwining stories of a father searching for answers after his son commits a heinous murder, and a pastor's wife (and washed-out scholar of early Anglo-Saxon literature) who has returned to the town for mysterious reasons of her own. A penetrating look at small-town America from the award-winning author of The Night Birds, Little Wolves weaves together elements of folklore and Norse mythology while being driven by a powerful murder mystery; a page-turning literary triumph. Thomas Maltman's essays, poetry, and fiction have been published in many literary journals. He has an MFA from Minnesota State University, Mankato and he lives in the Twin Cities. His first novel, The Night Birds, won several national awards, including an Alex Award, a Spur Award, and the Friends of American Writers Literary Award. In 2009 the American Library Association chose The Night Birds as an "Outstanding Book for the College Bound." "A work of nuance, craft, and tightly plotted narrative....Little Wolves is a portrait of two individuals seeking solace through religion and the law, and finding every opportunity thwarted by that most central tenet of Americana: nostalgia."